Spice up your food into a best-selling dish with IMB condiments collection! IMB offers variety of condiments just perfect for all types of meal. 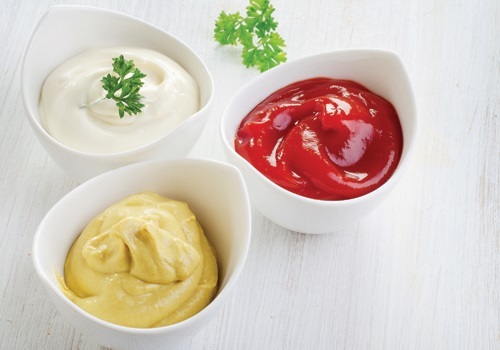 Starting from the unique flavors of sauce—ketchup, BBQ sauce, steak sauce, and hot sauce—to the creamy and smooth mayonnaise delights up to the yellow mustard, Dijon mustard, and honey mustard that livens up a dull sandwich. IMB condiments have it all for a delightful munching moment!